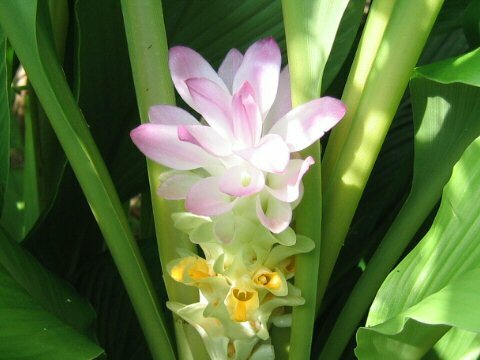 Turmeric (Curcuma domestica) belong to the Zingiberaceae (the Ginger family). 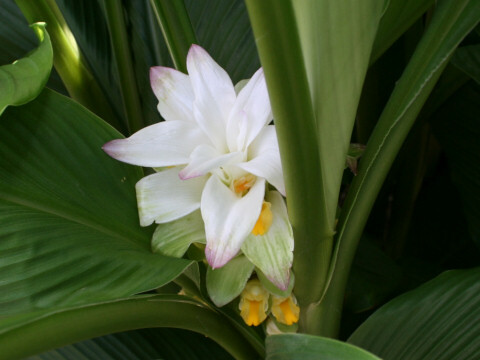 It is a perennial herb that is native to tropical and sub-tropical areas of Southeast Asia to India. 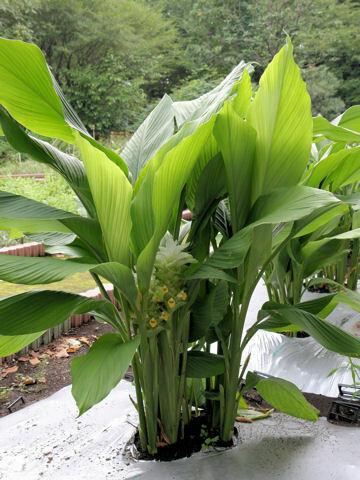 The rhizome is palmately, and comes out the Japanese banana like leaves. 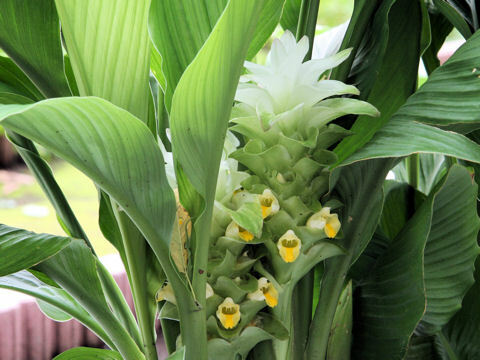 This herb can reach about 1.2 m in height. 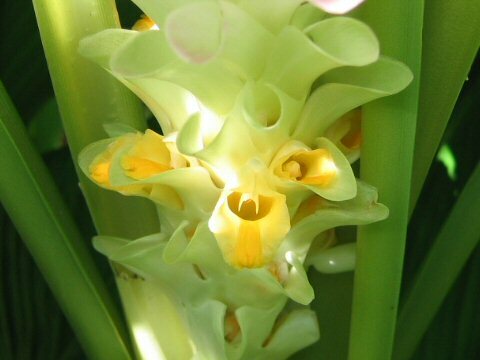 The cylindrical cluster is borne and the yellow flowers bloom in summer. The bracts are white or tinged pale pink. 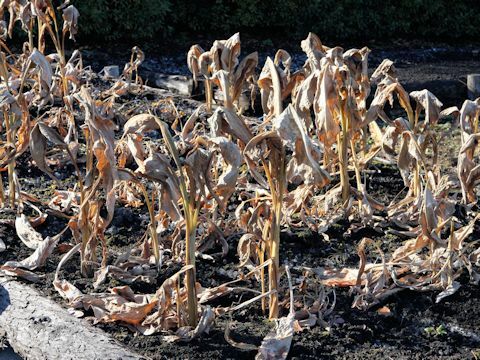 It has been cultivated from long ago, and used as an orange dye, spice in curries or herbal medicine to treat stomach.